About manual focus lenses, there are quite a few articles on the internet, to help you understand what this is all about and how to choose your ideal setup for your camera. 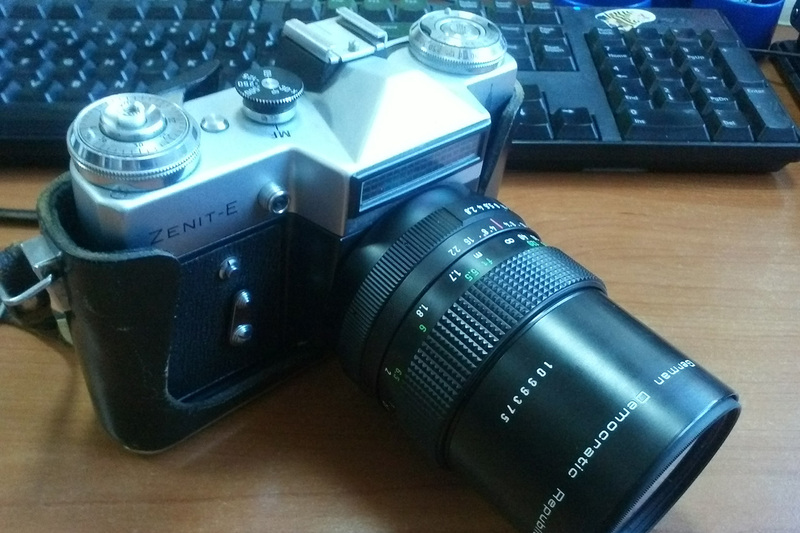 I have discovered this type of lenses when I first tried my father’s camera – the Russian Zenit, equipped with a Russian fixed lens. 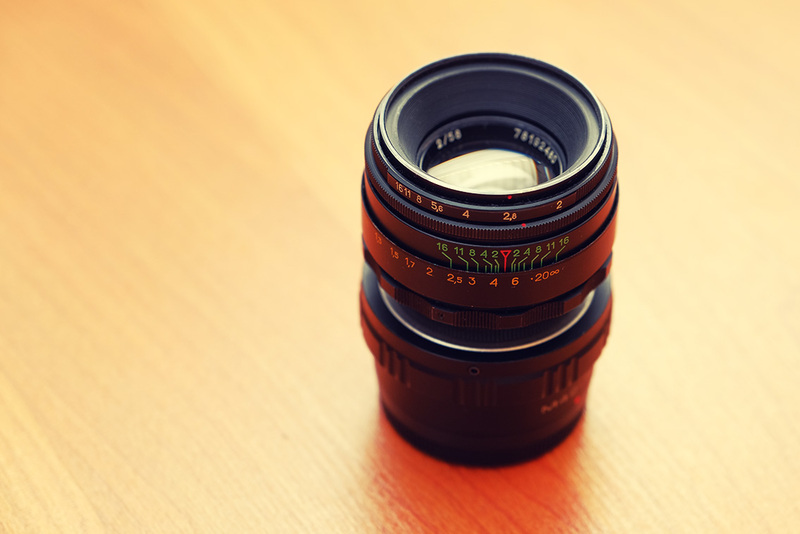 In my short story I will talk about old legacy manual focus lenses, especially prime lenses. Not their history, you can find a lot of information here and also I can guide you to a vast catalogue of lenses, which I often use to search for specific old lenses and find out about their mounts and other specifications. What does it mean “legacy manual focus lenses”? 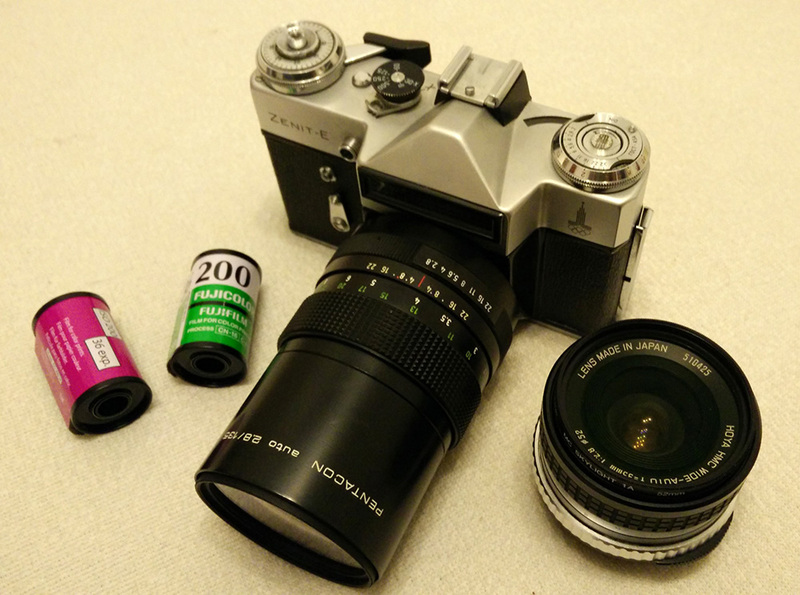 Shortly, those are the lenses designed to work with film cameras, 35mm, medium format and large format. 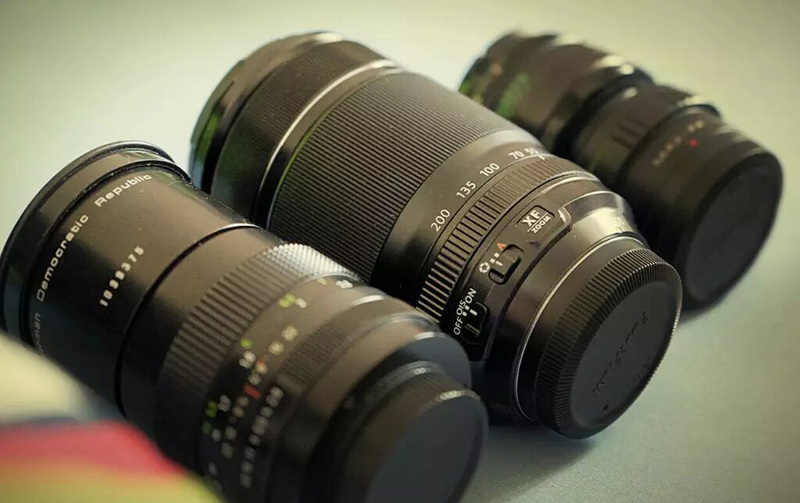 There are zooms and primes, most of them being prime lenses – fixed focal length lenses. In my short and limited experience as a photographer, I only used prime manual focus lenses. 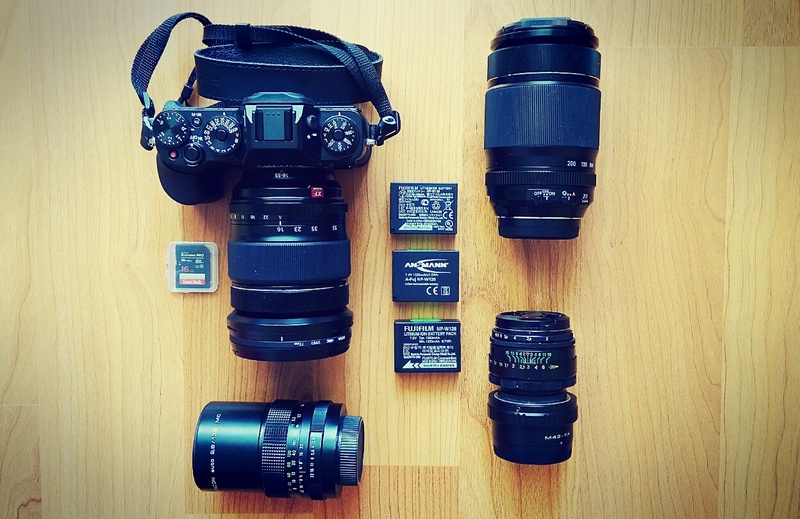 Of course, you need an adapter to put a legacy lens on your modern DSLR or mirrorless camera. 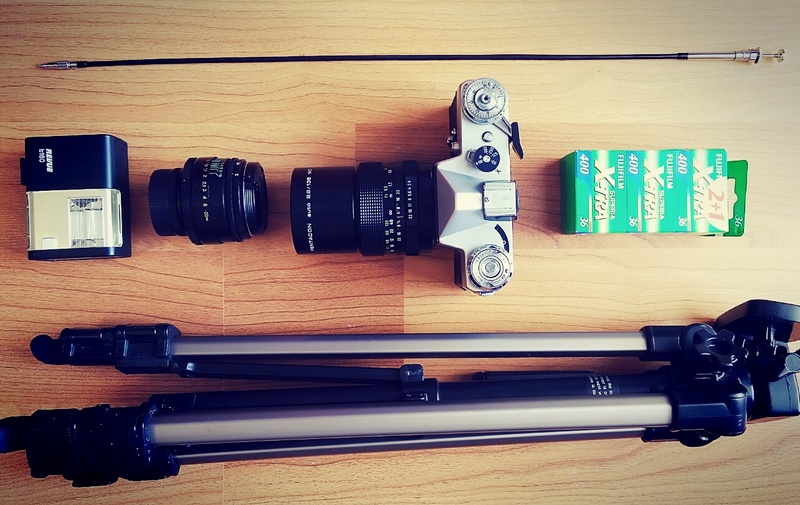 I used a Fujifilm X-Pro1 mirrorless camera and now a Fujifilm X-T1. Apart from using Fujinon autofocus lenses, I have discovered a passion for old manual focus lenses. So what do I use? 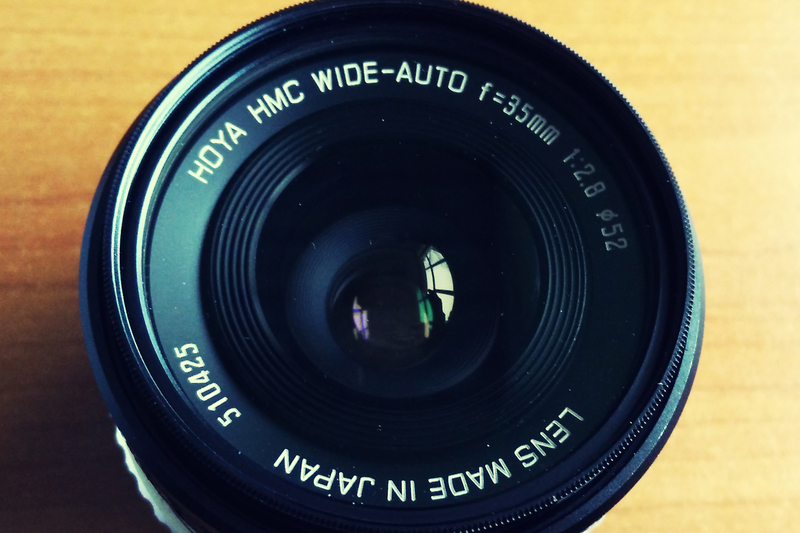 My first legacy lens was the Russian Helios 58mm F2.0, which is a technical replica from the famous Carl Zeiss Biotar 58mm F2.0. Almost the same thing, only cheaper and easier to find. 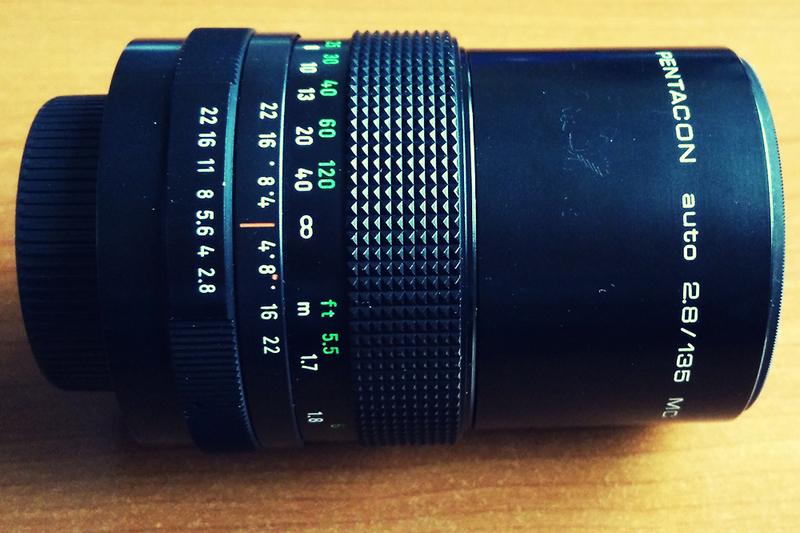 This lens came together with the Zenit film camera – I have the Moscow Olympic Games Anniversary Edition (1980). Very good for portraits, especially when mounted on a crop sensor camera, via M42 adapter. The colors are simply amazing, with great bokeh, the swirl type, from a fast F2.0 aperture. The sharpness is very good, mostly in the center and it is built like a tank. I use it mostly for portraits. This was quite a rare lens with not so many information and specifications online. Some say it was built by Tokina factories, made in Japan. 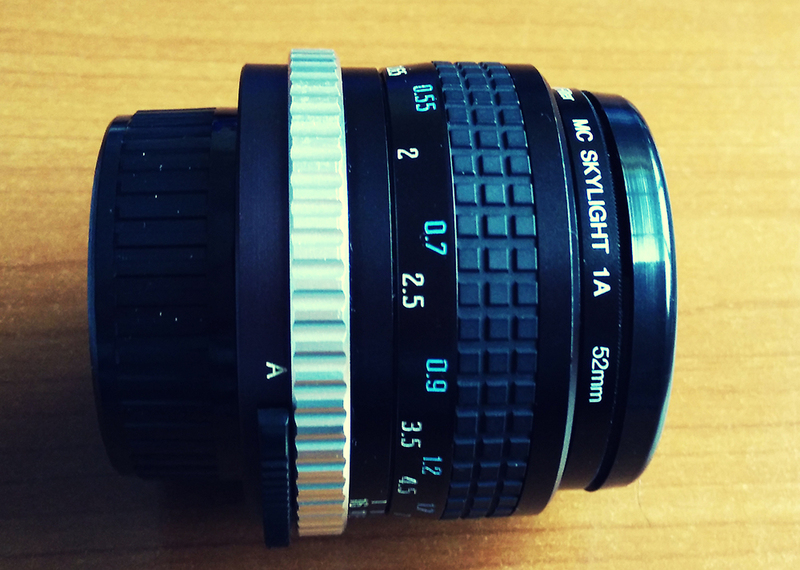 I got this lens before buying the Fujinon XF 35mm F1.4. Very well built, solid, with a nice aperture ring, this wide-angle lens delivers very sharp images with great colors and contrast. After receiving my 35mm lens from Fuji, I had the opportunity to test them, side by side, at different ISO and apertures. The results were very similar (some of my friends considered that Hoya produces more pleasant images with sweeter colors), only that Hoya had a slightly weaker light transmittance than its rival from Fujinon, softer wide open, a little less contrast and some CA (aspects that Fujinon 35mm F1.4 controls very well). I use it mostly for street photography and portraits. 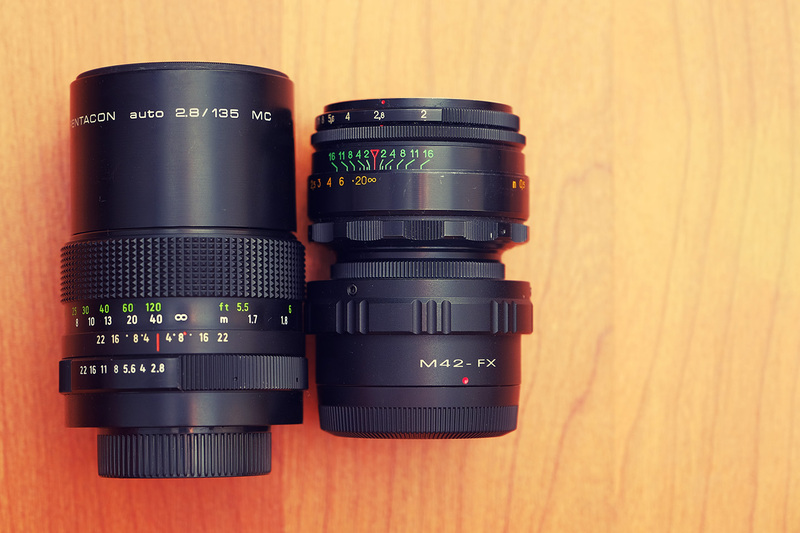 The German Pentacon 135mm I have is the one with 6 blade aperture, not the Bokeh Monster with 15 blade aperture. I have bought this for my need of a telephoto lens. 135mm on a crop sensor camera means a 200mm filed of view. Very well build, all metal, including a metal integrated sliding hood, this Pentacon delivers warm colored images. Very soft at F2.8, it gets better by stepping it down to F4.0. I think this 135mm focal length is the maximum I would recommend, when shooting handheld – sometimes you really feel the need of image stabilization when dealing with the equivalent of 200mm field of view, or at least a tripod. I use it mostly for landscape and sometimes for portraits. 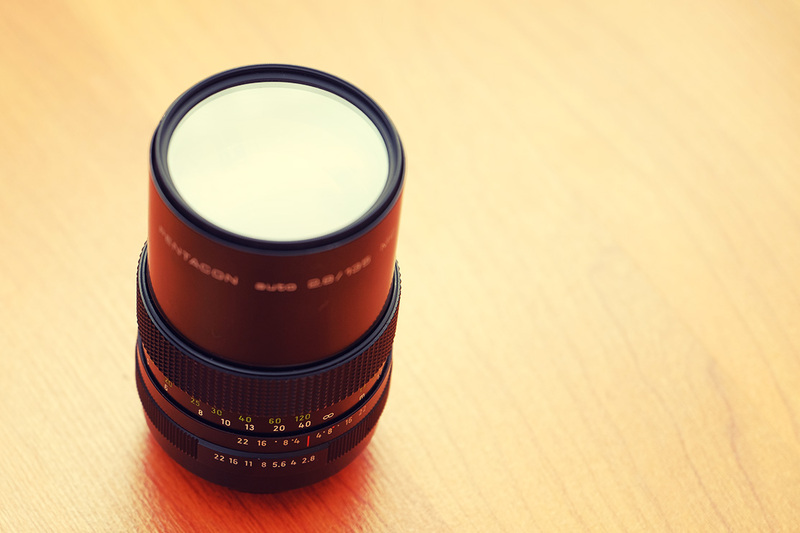 Many other photographers use old manual focus lenses and their reasons are various and numerous. What I can tell you is why I use such old lenses, when each camera has its own range of modern, fast, autofocus, improved optics lenses, not to mention the third-party producers like Tamron, Sigma, Tokina, Zeiss, Samyang and others, who manage to do a great job lately. 1. The price : When you cannot afford a new and expensive lens, you learn how to use the manual focus mode on your camera and get the lens at the right focal length that suits your photographic needs. You can find a vast number of lenses in different mounts. 2. Built for many lifetimes : There are many legacy manual focus lenses that leave you the strong impression they were built by the military to go to war. All metal, no electronics and very good optics, designed by the highest standards of quality. 3. Smaller & sometimes lighter : It is incredible how small a lens designed for Full Frame format can be. No AF motors, no electronics, just the glass and the metal structure. This could be an advantage when you need to travel with a small bag. … to name a few gems. For portrait photography, one of those would be fantastic! 5. Charm, melancholy and creativity : What do I mean by that? This would be my last reason in this article, why choosing an old manual focus lens. Because they are beautiful. Some of us used to work with film cameras and some of us were too young to feel the interest in old film cameras. By the time I was deeply interested in photography, many film types were already disappeared from the market and film cameras were a long way behind the modern digital cameras. But I feel a melancholy when shooting on film, when using manual focus lenses, a melancholy that is not entirely mine, something I have inherited from my grandmother, who was the last Studio Photographer in my town, working on large format cameras. The passion comes from her and I am thankful for that! You get a certain feeling when shooting with an old manual focus lens. By touching it and using it, there is a thrill of photography history going down your spine. Using such a lens, you have to fight with its technical limitations, being a prime lens, you need to work harder on your composition. There are a few relevant aspects that develops what I have meant here, in a previous article about zooms and primes and another one about the content of my photo bag. Using an old manual focus lens on a DSLR could be hard, you really need to rely on your optical viewfinder, your good sight and it could be tricky, especially in low light, trying to get the perfect focus at very large apertures. The present mirrorless cameras have Focus Peaking (I am thankful for that, too!) and you get the confirmation on your LCD screen, or the EVF (electronic viewfinder) that the area you need to be in focus is really in focus, even at F1.0 and faster! I hope there will be more and more young photographers who will discover and enjoy the benefits and pleasure of using legacy manual focus lenses. In an era marked by superfast speed (fast processors, high FPS rate, fast autofocus), sometimes we need to step down the pace, catch our breath, think, feel and create better photographic compositions, using “forgotten optical gems” I hope will never disappear, but remain forever in our hearts and photo bags. Fujifilm Wide Speed Converter – A Fantasy? Fujinon XF 55-200mm - any good for portrait photography? Social Media Networks for Photographers | Sebastian Boatca on How many megapixels do you need? After the Akihabara and Ginza experience, this next day was a special one. We have decided that our 5 person group should split in 2 different groups of interest, to cover more of the amazing Tokyo, based on what we intended to visit. The first group went to the Zoo in Ueno, but the second group, me and my best friend had a different plan in mind. This is our second day in Tokyo 東京 and we wanted to give Akihabara 秋葉原 a go, as one of our main destinations. Starting from Nippori, our place of temporary residence, we took the train and arrived in Akihabara Station. We said “goodbye” to our beloved Kyoto and a warm “welcome” to Tokyo. Traveling by shinkansen is always a pleasant, fast and comfortable ride.